Looking for a property in Malleshwaram? Have a property in Malleshwaram? 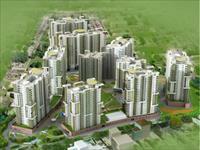 Malleshwaram is one of the most sought out residential localities in Bangalore. 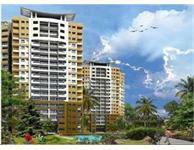 It is one of the localities which has the elite residential Bangalore living in. With the launch of very high end residential project around Malleshwaram, there is always a high demand for luxury apartments. This is close to all the prime localities like MG Road CBD Area, Hebbal , Majestic Bus station and railway station etc. Malleshwaram is in the heart of the city. 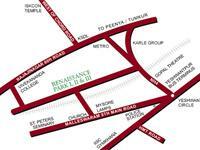 Nearest to city railway station 2.5 km, mantri mall 1 km, orion mall 2.5 km, lot of showrooms, schools, colleges, temples etc. Sankey tank is very closely located for evening walk. Variety of foods around, street food, hotels, vegetarian as well as non vegetarian are available. Malleshwaram is one of the oldest city of Bangalore, almost more than a 100 year old locality. This locality has produced many well know personalities, I am just mentioning a few of them The Nobel laureate Dr. C.V. Raman, famous scientist Krishnaswamy Kasturirangan, film stars Saroja Devi and Jaggesh, badminton world champion Prakash Padukone, his daughter a very famous Bollywood actresses Dipika Padukone, & also did Doraiswamy Iyengar. The locality has very organized roads with proper North - South & East- west cross roads. Two of the major main roads are Sampige Road and Margosa Road. Sampige road begins at Rajiv Gandhi Chowk and runs all the way to 18th cross. This entire stretch is one of the busiest market area with different varieties of commercial shops. It caters to traffic traveling from Majestic/Kempegowda Bus Station towards Yeshwantpur & also Rajajinagar. Margosa Road caters to the vehicle movements in the reverse direction, that is, from Yeshwanthpur to Majestic. On the cross roads, 8th cross road is the most popular where you will find everything from vegetable vendors to fruits, clothes, jewelry, electronic items. During festivals this road is closed as it is completely jam packed. It is very delightful to see the streets decorated with flowers, music, color lights. On the west of Malleshwaram you will find many aristocratic, upper middle class & middle class families. On the eastern side, you will find the middle & lower middle class population. It has a balanced class of people. The most famous Sankey tank is located at 18th cross Malleshwaram & goes up to Sadashivnagar. This tank has been revived & beautifully maintained by BBMP, they have made wonderful walk way for all kinds of people with beautiful garden & a wonderful atmosphere. 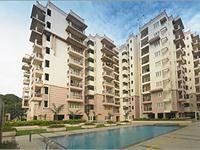 Malleshwaram is a strategically located part of Bangalore with great infrastructural facilities. It is very well connected by all form of transport and the three railway stations viz Bangalore City, Bangalore Cantonment and Yeshwantapur are 5 km, 7 km and 2 km from any part of Malleswaram. It has two major Malls viz Mantri Mall and Orion Mall apart from lots of cinema halls and other recreational facilities. Some of the best hospitals both Government and private owned are located in Malleswaram. Majestic bus stand is not more than 3 km away from any part of Malleswaram. Malleswaram Market is very well known as also Yeshwantpur market which is at 3-4 Km distance. It has some of the best educational institutions in the city in the vicinity . Malleswaram is now connected with the new Metro Line and has a bus stand of its own. All the well known banks are housed at Malleswaram. In nutshell it is a very peaceful area fit for dwelling for school children, professionals , housewives as also retired personnel. The Central Business District is hardly 6 to 7 km away and well connected. Malleshwaram is having lots of Temples. There are good place to visit in. Malleshwaram, Bangalore is rated 8 out of 10 based on 5 user reviews. Have a good knowledge of Malleshwaram? Share it and become a Locality expert. One Million Wells For Bengaluru : Meet The Group Saving The City From Day Zero! It offers a 2, 3 and 4 Bedroom Apts from 1275 sqft to 3255 sqft and it is located at the prime location of Bangalore, Malleshwaram. Homes that are designed to suit those who have a taste for elegance and style. Located just 2 kms from Sadashivanagar, these apartments are comfortably nestled amidst the substantial green cover of Malleswaram West. Salarpuria Luxuria is presented by Salarpuria Group, offering 3 and 4BHK Apartment in Ideal location of Malleshwaram, North Bangalore. offers 2- and 3-bedroom units. The 136 apartments, some of which are duplex, cover 228,010 sft of built-up area and were completed in 2006.